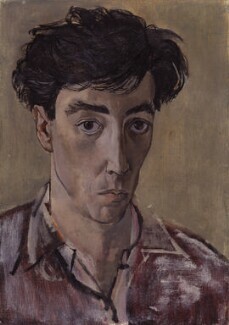 Artist John Minton (1917-1957) , a scion of the china-producing family, was a major figure in the neo-Romantic movement of the 1940s and 50s, at various times sharing a studio with Keith Vaughan and with Michael Ayrton. His prolific output included landscapes, portraits and book illustrations, such as Elizabeth David’s cookery books and the Corsican travel book “Time was Away” which he worked on with the poet Alan Ross. 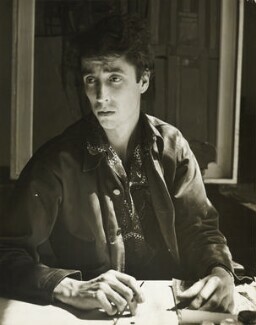 He attended the St John’s Wood School of Art (1935-1938) where he met Michael Ayrton. In 1942 they collaborated on designing costumes and sets for John Gielgud’s production of “Macbeth”. Minton taught at Schools of Art including Camberwell, Central and Royal College. 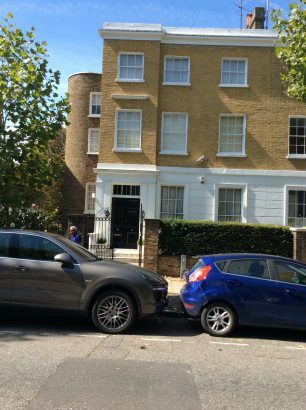 Well-known in Soho circles, his vivaciousness and generosity hid a melancholy which led to his suicide. From 1946 to 1954 Minton lived at 37 Hamilton Terrace with Keith Vaughan, a fellow teacher from the Camberwell School of Art. This page was added on 18/09/2018.